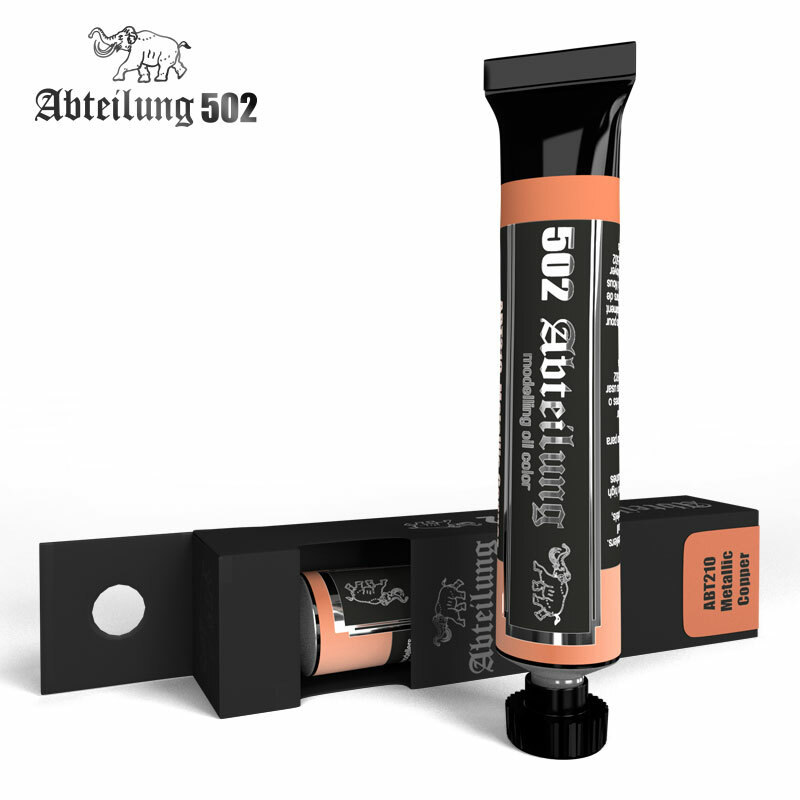 Abteilung 502 Metallic Copper Oil Paint 20mlIt is indicated for painting copper colour details on uniforms. It also works perfectly for armor, sci-fi kits and small parts of tour models. The special characteristics of the oil paints allow different types of finishes that will improve the final result of your work. We recommend, for its weathering, to use ABT180 Copper Oxide Blue.